Quebec is a unique province of Canada with its impeccable French speaking people or its culture can all be known when you plan the purpose of your visit to Quebec. It has an exclusive agreement with Canadian Immigration Board and its policymakers. The Province has set its own norms for the citizen who reside in this place. 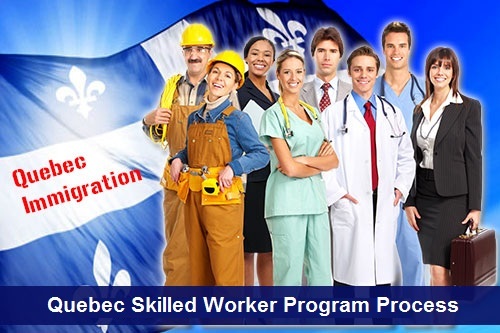 The Quebec government issues a certificate known as CSQ for any skilled labor. The IRCC of Canada also has to seek permission from Quebec’s government in case the applicant is from this province to get its approval for a Permanent Residency. It takes 13 months as the processing time for the Quebec Skilled Worker Visa to be issued to an applicant fulfilling the eligibility criteria. There multiple Visa offices across various nations where an applicant whether he/she is an investor, employee or a student can put a visa petition. A medical certificate along with clear criminal history should be produced during any background check.There are mainly two programs which are the Quebec skilled worker program and a QIIP-Quebec Investor Immigrant Program. The Quebec skilled worker program process is mainly for self-employed or firm employed workers at Quebec while the QIIP for the Investors which currently has reopened for 1900 applications for angel investors gives investment opportunities in Quebec who meet up the stated criteria. The applications of candidates who have passed language test for both English and French for standard workers and have desired employment offer & educational requirements met will be given priority processing. The long queue for a candidate to acquire a Visa for Quebec Immigration can be made shortened if a candidate divulges its complete information with mandatory documents with all legal checks.